Mid July the Gam Farm sheep are gathered in for their annual clip. They are sorted into different breeds as each one possesses a unique fleece quality. 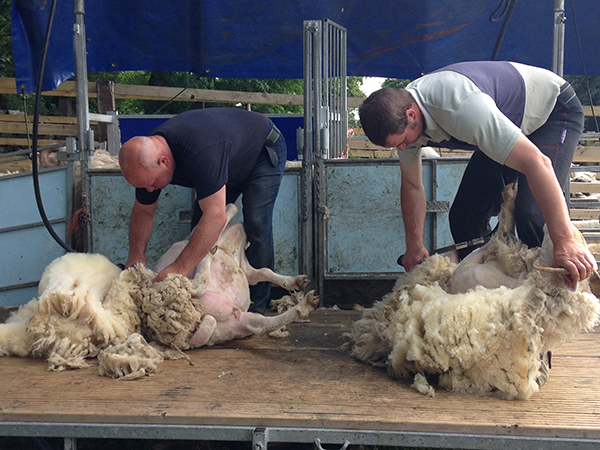 It takes about 2 minutes to shear 1 sheep. The fleeces are picked over to remove plant material like thistles and grass seeds and then they are skirted. Skirting is cutting away and discarding the straggly part under the belly and rear end. Fleeces are rolled up inside out and packed into large wool bags ready for transporting to the spinning mill. At the mill the fleeces are again picked over and washed. 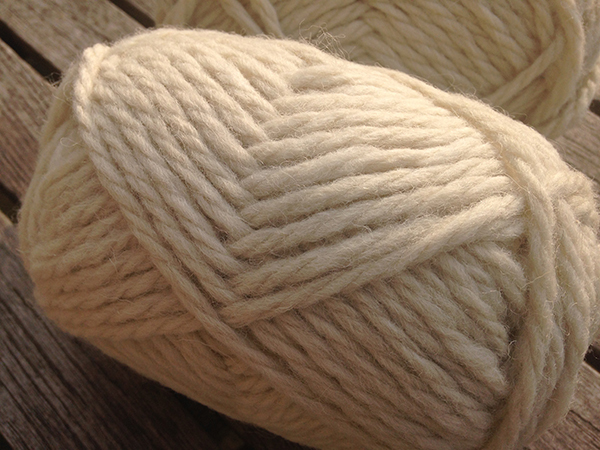 At Gam Farm we insist on minimal treatment to keep the wool as natural as possible. No chemicals are used in the processing, only mild soap solution. 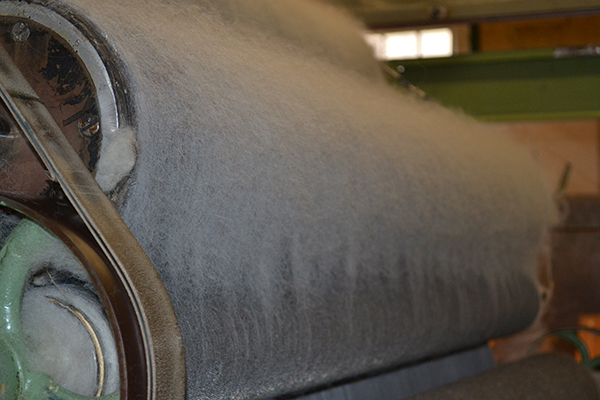 After drying naturally on racks the wool is fed into one end of a huge carding machine. The fine teeth on the rollers comb the fibres into line. The result is called pencil rovings and is often used by hand spinners. Tese rovings are now transferred to a machine that twists them and winds them onto cones. 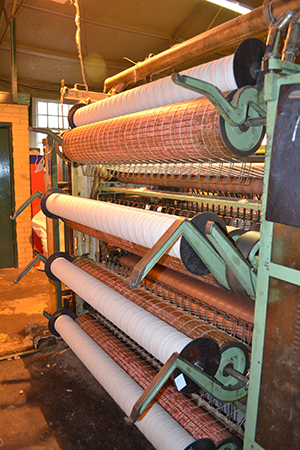 At this stage the type of yarn is selected 2 ply, 4 ply, double knit, chunky etc and is wound into hanks, balls or left on the cones. I drive back to the mill to collect the finished product. The final process is called ‘squishing’ and it’s what I do when I get it home. You too can try out squishing next time you get a ball of lovely Gam Farm wool in your hands.